Enerheat Renovations has installed vinyl windows and doors since 1978 in Victoria and the surrounding area. Increase the comfort and energy efficiency of your home with new vinyl windows and doors. 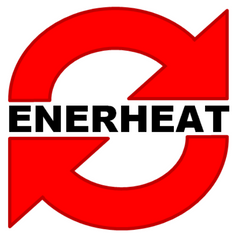 Welcome to Enerheat Renovations! With the lowest prices, quality windows and the best factory warranty in the business, we provide residential vinyl window installation in Victoria and have almost 40 years of truly satisfied customers. We offer a 10-year warranty on windows, parts and labour. We were even recognized by the Better Business Bureau with the 2016 Torch Award winner as #1 for home improvement in the Vancouver Island area. If you want to get rid of inefficient single-pane windows, alleviate problems with mold, or simply save money on heating costs, contact us today. Windows provide beautiful views and natural light, but inefficient windows can contribute up to 30% of the energy consumed in your home. The ThermoProof windows we install are Energy Star rated and will increase your comfort while decreasing your energy costs. You can sleep better at night knowing that by improving your home’s energy efficiency, not only are you saving money, you are also reducing greenhouse gas emissions that contribute to climate change. We are proud of our legacy of quality window and door installations for Victoria and the surrounding area. Every window we install uses Low-E glass to provide clients with maximum energy efficiency in their home. Whether you want to decrease the heat loss from inside your home during cold weather, or decrease the heat gain from outside your home during warm or hot weather, Low-E glass is a special neutral-colored, high-performance coated glass that helps reduce heat transference. By using products built with Low-E glass, you can significantly reduce the heating and air conditioning costs of your home. Our business is 100 % employee owned and operated which means our team cares about every client we deal with.